Everything about Hixny is designed to improve healthcare for people like you. That’s why Hixny For You brings together all of your health information in one place so you can see what your providers see—as long as you’ve given them consent to share your information. How Can Hixny Help You? Are you a marathon runner in your 20s? Hixny For You gives you information to help you stay in competitive shape. A retiree with a health condition? Hixny For You helps you keep track of changes in your health and in your medications and doctor’s orders. A caregiver for an ailing parent? 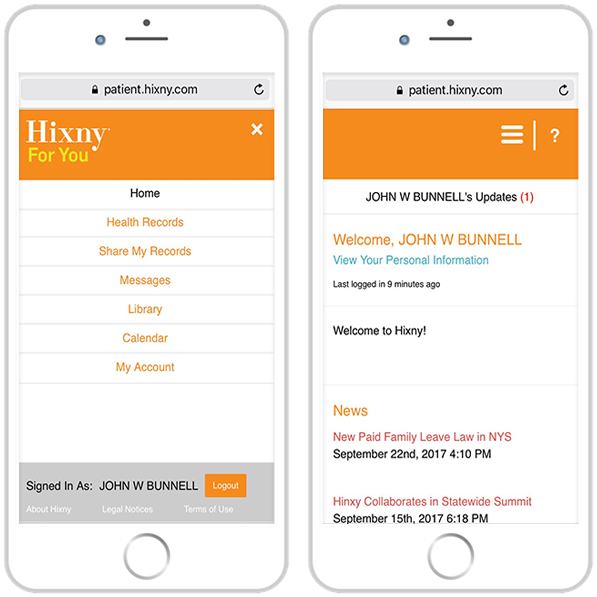 Hixny For You lets you access their records to help you prepare for every doctor’s visit. It’s easy! Fill out the form, have it notarized and send it to Hixny. We’ll respond with your login credentials so you can get started.